Minted is a company that has brought together designers from all around the world with varying backgrounds in design and lifestyle, creating a collective where you can access these exceptional designs from independent artists without having to go through traditional retailers. 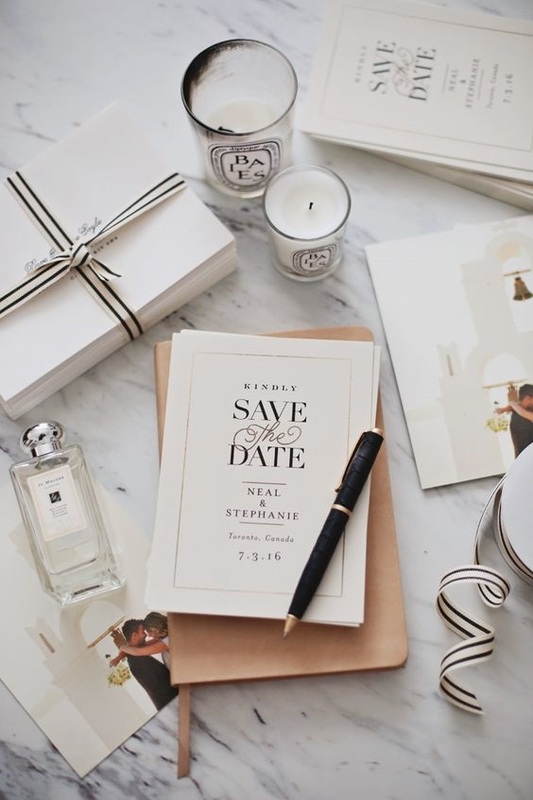 With invitations playing a huge part in your wedding and being the first real taste guests will get of how amazing your big day will be, here are 5 reasons why you should use Minted Wedding Invitations for all your Wedding Stationery. Before we get started on the tips you can use to save money on your wedding, we wanted you to take the time to like our Facebook Page here! We also use affiliate links in our blog post which means we can make a commission if you use any of our affiliate links. With hundreds of independent artists from around the world submitting their work to Minted, you will find that you are spoiled for choice when it comes to design. 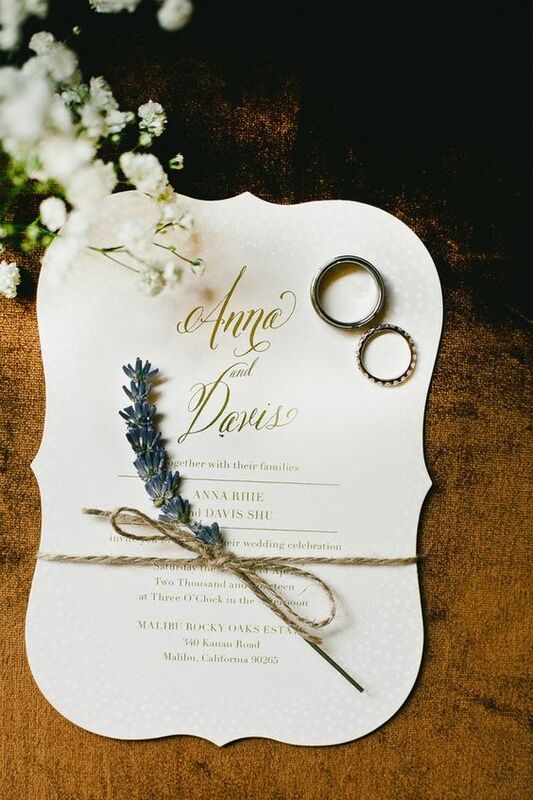 With a range of different scripts, styles, and formats that come in a range of different colors, you are sure to find something that will fit perfectly to your wedding. 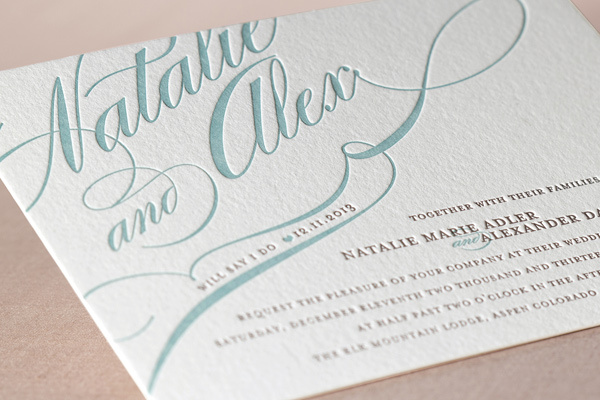 Minted wedding invitations offer their clients just enough choices to suit each need. Now we know that it isn’t always just the way your invitation looks that is important but the way that it feels in your hand too. 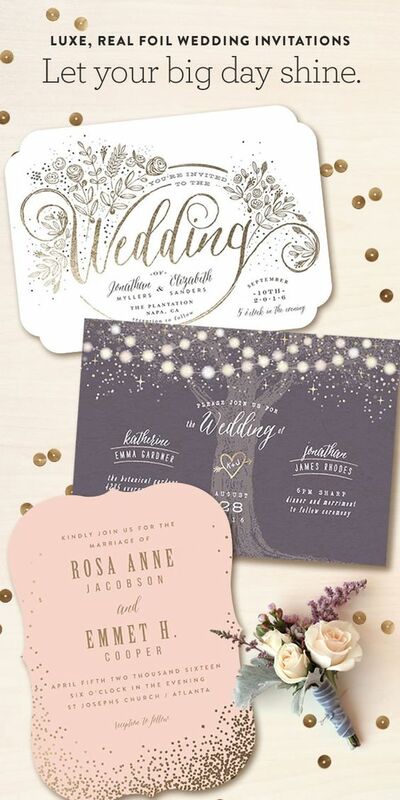 That’s why Minted Wedding invitations offer a free sample where you can feel the quality of their flat printed, foil pressed and dye-cut invitations, plus swatches of their thick, luxurious paper allowing you to really get a sense of the quality that you will be ordering. 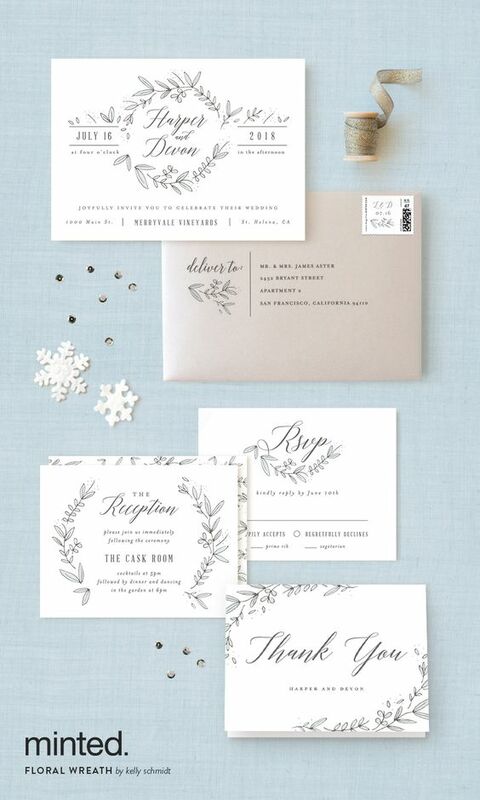 This is one reason why we enjoy working with Minted wedding invitations. 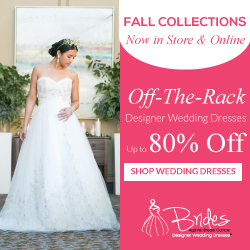 As a bride, you want to be able to feel and see what you are investing into. 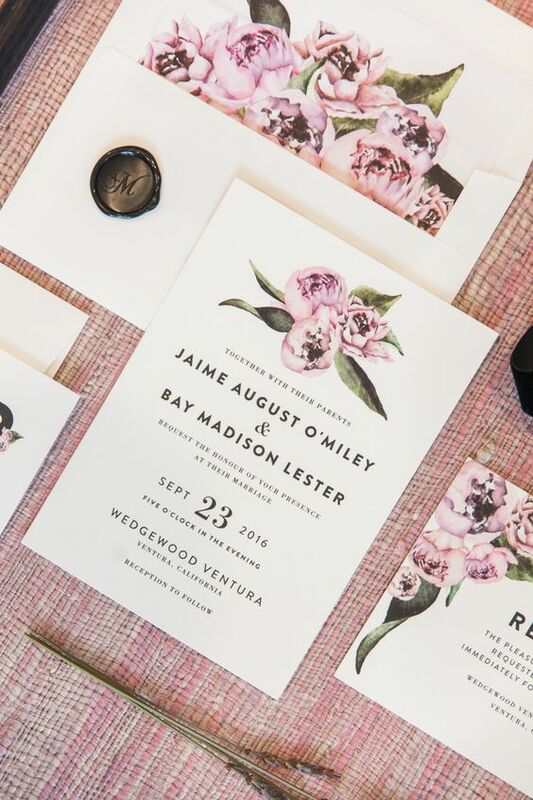 This is the one chance you will get, and getting the right wedding invitations really matters. You are not limited to just invitations on Minted, they have everything available from table numbers to menus and even gifts available all in a color scheme that complements your forgotten about so make sure to have a look around at all the beautiful designs and available products. 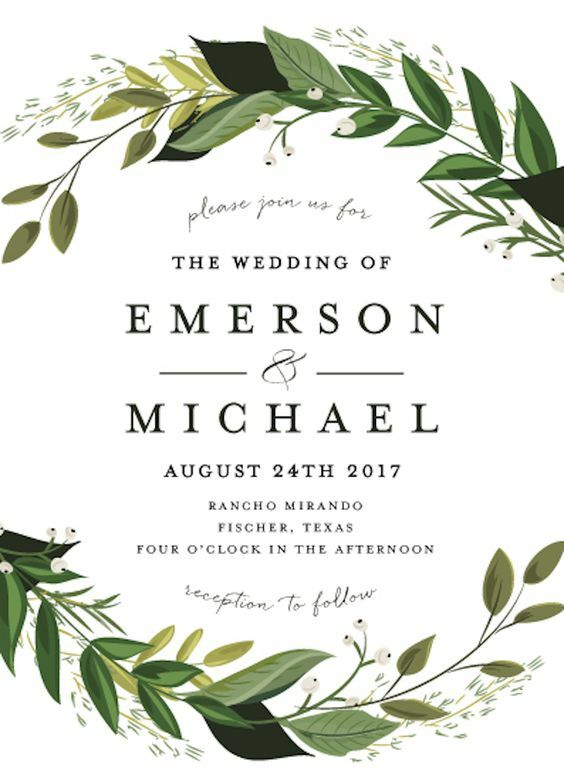 Using Minted wedding invitations will not disappoint. 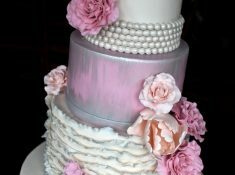 Have you ever thought about going digital and having a wedding website up and running? Well, Minted have. They have hundreds of unique designs from their community of independent artists with matching invitations available too and the best part is that you can get a fantastically designed website with all the basic features you would need for free. Add on premium features for a one time fee that includes a custom URL, photo gallery and password protection to keep your page strictly between friends and family. If you haven’t quite figured out the exact style or color scheme you would like to go for there is plenty of inspiration available on the Minted website. 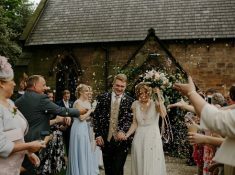 Their dedicated inspiration page shows you trending styles for their invitations and even has a wedding planning guide that recommends which songs you might like to play, inspiration for your vows and a checklist to keep you right throughout the whole process. 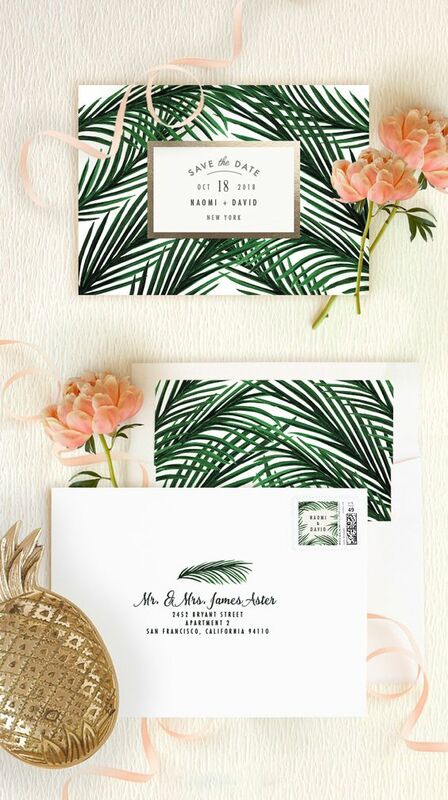 Minted is like having a digital bridesmaid that won’t complain about the color of the bridesmaid dress or take over all the planning elements, just remind you and show you all the little things and how you can make them amazing. Make sure that if you are planning your wedding and looking for great designs and maybe some inspiration to have Minted as your number 1 bookmark online. Be sure to join our wedding club below to receive more amazing hacks for planning the perfect wedding. Pin this post to your wedding invitation boar for inspiration. 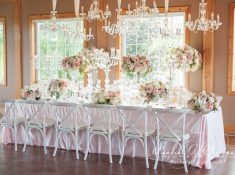 What to really expect from your wedding planner.